It’s not often we talk about the benefits of hearing loss. But there are definitely some perks that those who are hearing impaired will understand and appreciate. 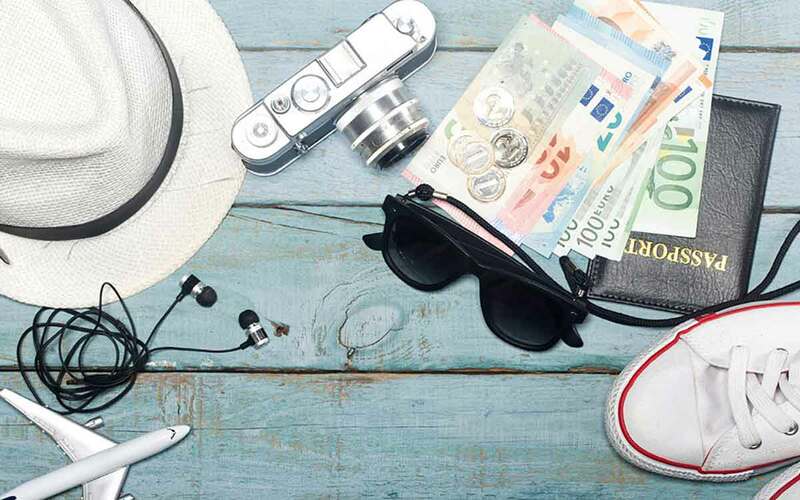 In the spirit of looking for the positive in everything, let’s explore 7 perks only those traveling with hearing loss will understand. A common complaint among travelers is noisy passengers. While we love children for the precious little humans they are, listening to a baby cry incessantly on a plane, in a car or the hotel lobby is no fun. For those with moderate to profound hearing loss, listening to the baby or other noisy individuals is 100 percent optional. Your ability to turn off or adjust your hearing aid and find instant peace will be the envy of your traveling companions. Have you ever checked into the hotel only to find they put you next to the lounge or kitchen? Or maybe someone’s throwing a party next door. It’s not fun for most of us. But with hearing loss, you can sleep right through it. It’s a little-known secret, but most airlines will go out of their way to assist those who may find it a little more difficult boarding. If you inform them at the desk when you check in, they’ll typically allow you to join the early borders. Get prime placement for your carry-on in the overhead bins. And rest comfortably in your window seat while others battle the crowds to find a place. Don’t feel guilty. Priority boarding helps airlines avoid potential accidents that are more common among those with hearing loss and other conditions. They want you to let them know. As someone with hearing loss, you know what it’s like to misunderstand people or to feel that strangers are frustrated with your hearing ability. This makes you extra compassionate when interacting with others who wear a hearing aid, have a disability or speak another language. It’s common to encounter such individuals while traveling. A study conducted by The National Institute of Health showed that when you show compassion, your brain releases the happiness hormone serotonin, which makes you feel good. Who knew your brain rewarded you for being nice to others? It’s easier for you because you can put yourself in their shoes. In some countries and cities in the US, street vendors are very persistent. Or you may have visited a carnival or county fair to find the same behavior. People at tables and booths just keep yelling out and trying to get your attention. As a person with hearing loss, it’s much easier to walk past them. If they call you out for ignoring them, you can just point to your hearing aid and keep walking if you’d like. If some people use their phone in a restaurant, others get annoyed. But as someone who is hard of hearing, your smartphone is an important communication tool. If you can’t understand a friend at the other end of the table, they can text you or call you. If you can’t hear the server over the drone of the restaurant, you can use the phone’s notepad. The people with you that don’t have a hearing aid miss out on the ability to tune out background noise in a loud restaurant to better hear dinner companions and servers. On top of all of this, you can integrate your hearing aid into a smartphone app, turning your phone into a speaker. Then hand it to a server or friend. What they’re saying is communicated wirelessly to your hearing aid. Other diners can’t do cool things with technology like that. Be honest. We all know you’ve done it. You’re getting really good at it. Managing your hearing loss has made it easier for you to read lips across the room. While the others at your table are wondering what’s going on at that lively table in the corner, you can see that someone just proposed. Or they’re celebrating a job promotion or a new baby. Maybe you feel a little guilty sometimes, snooping into the business of others, but it comes so naturally to you now. And it does make traveling more interesting. Just remember to travel safely when you have hearing loss.